By Jeanne Eason April 15, 2019 Press Releases, Rochester, N.Y.
Rochester, N.Y., April 15, 2019 – LeChase Construction Services, LLC is pleased to announce the addition of Nino Conti as executive vice president and chief financial officer. In this role, Conti will focus on corporate strategic initiatives and provide financial oversight relative to the company’s continued growth. He will also work closely with functional groups within LeChase. 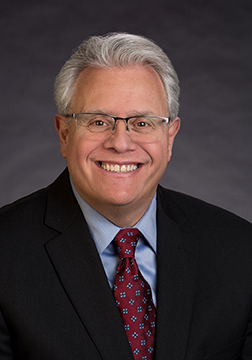 With almost 40 years of financial experience, Conti has spent much of his career as a CFO, controller and financial consultant for several global engineering and construction firms. Most recently, he served as senior director of financial management for the Texas-based subsidiary of an Austrian-owned firm. That subsidiary was roughly the size of LeChase. Conti has an MBA and a B.S. in finance and accounting, both from DePaul University in Chicago, and is a certified M&A Advisor through the Alliance of Merger and Acquisition Advisors.